Greenlight developments are delighted to announce that Ian Davis, formerly Executive Director of Rugby Borough Council, has joined the Team on a consultancy basis. Ian,who is a qualified Planner, will add an extra dimension to the Team and assist in the companies stakeholder engagement strategies for all of its projects. Ian’s ability to provide a Local Authority perspective on the merits of the Greenlight Developments projects will prove invaluable. A good week last week! Another resolution to grant planning permission achieved by the Greenlight Developments’ Team; that’s 5 out of 5 – long may it continue. 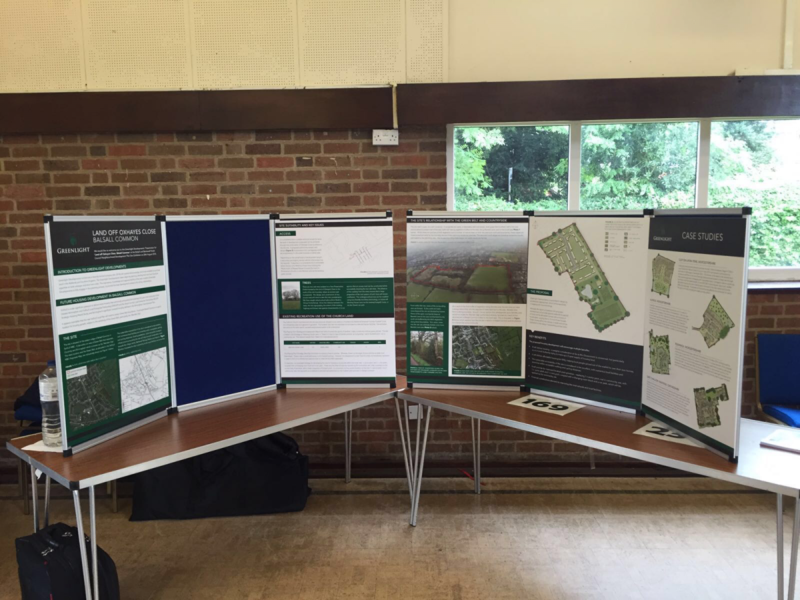 Also, a new member of the Team joined us for his debut at last Saturday’s Balsall and Berkswell Parish Council Neighbourhood Development Plan Site Exhibition. 100% success rate still intact for Greenlight Developments after a positive appeal decision received today on our site in Alfrick, Worcestershire. We are glad we deservedly got the right result in the end. Another success for Greenlight Developments at Vale of White Horse Planning Committee. We received a resolution to grant planning permission for 36 dwelling in circa 6 months from exchange of contracts with the landowner. Planning permission issued for 41 dwellings on our site in Rushwick, Worcestershire, post signing of the S106 agreement (11 weeks from resolution). Our site in the Worcestershire village of Clifton-upon-Teme has today been sold to Lovell Homes, which completes Greenlight Developments first transaction. Exciting news for the land owners and GLD team. Resolution has been granted for 41 units at our Rushwick site. Malvern Hills District Council’s Northern Area Development Management Committee resolved to grant planning permission for 41 dwellings on Greenlight Developments site in the village of Rushwick – the vote went 9 – 3 in our favour!! Outline Planning Consent has been applied for on 48 houses at Clifton in Malvern DC. Outline planning permission received today from Malvern Hills District Council for 48 dwellings on our site in the picturesque Worcestershire village of Clifton-upon-Teme.